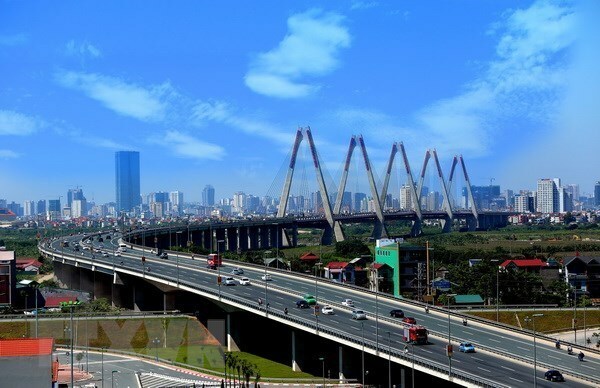 Hanoi (VNA) – Hanoi has recorded a GDP growth rate of 6.99 percent in the first quarter of this year, equivalent to the same period in 2018, it was reported at a meeting of the municipal People’s Committee on March 26. The service sector expanded by 7.08 percent in the quarter, while the industry-construction sector grew by 7.13 percent, and the agro-forestry-fisheries by 2.57 percent. According to Director of the city’s Department of Planning and Investment Nguyen Manh Quyen, there was a surge in the inflow of foreign investment into Hanoi, with 4.04 billion USD worth of direct and indirect investment, a 10-time increase year on year. The city collected 68.1 trillion VND (2.92 billion USD) for the State budget in the period, equivalent to 28.6 percent of the estimate, and up 30.3 percent year on year. However, several sectors experienced a growth rate lower than the same period last year, including industrial production, goods retail sale, import-export and tourist number, while the consumer price index showed a rising trend. The municipal authorities are concerned about the spreading African swine fever, which can affect agriculture and tourism in the time ahead. To address the arising problems, the People’s Committee required agencies and sectors to continue to implement effectively 76 tasks and measures set by the Plan of Actions No 12/Ctr-UBND on socio-economic development and budget estimates in 2019. The city will press on with strong measures to improve the investment and business environment and enhance the city’s competitiveness.